I'm about to file bankruptcy but I have some extra cash. Can I pay off my homestead in Texas or make lump sum payment on it? I had a bankruptcy over a year ago. How long until I can get financing to buy a home? A receiver has taken my checking account and paycheck with a turnover order. How do I get my money back? Green Tree Servicing continues to call me after I filed bankruptcy & gave up my mobile home. What can I do? Can the bankruptcy court sanction attorneys for misconduct? 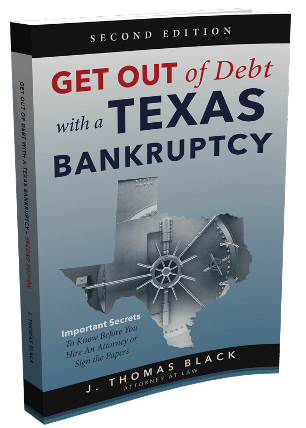 I filed bankruptcy in Houston, but now I can't open a bank account. How do I fix this? Can a homeowner challenge the validity of an assignment of a promissory note in violation of a Pooling and Servicing Agreement? 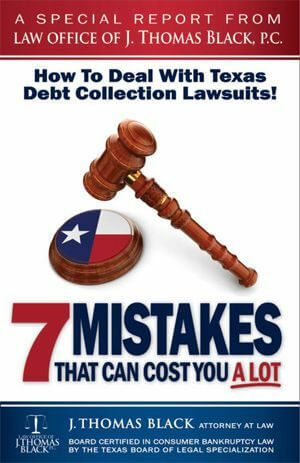 Do my student loans count as "consumer debt" for chapter 7 bankruptcy means test? I am in chapter 7 bankruptcy and I don't care for my trustee. Can I change trustees? Do I have to pay interest on delinquent child support in my chapter 13 bankruptcy plan in Houston? I personally guaranteed a business debt, but then the company sold to another company. Do I still owe it? Can gambling debts be discharged and cancelled in my Houston bankruptcy filing? I've been told that cancellation of debt may be considered income and I'll have to pay taxes on it. Is that true? How can I find a no or low-cost housing counselor that I can trust to help me with my mortgage? 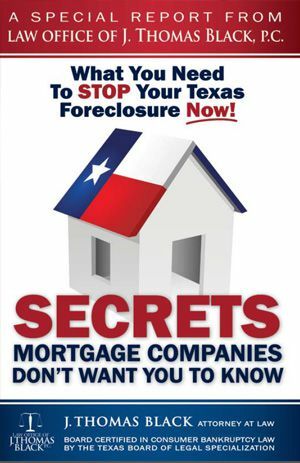 A new mortgage company called Ocwen bought my mortgage. Can they legally do that? Can I file a complaint with the Consumer Financial Protection Bureau against a payday loan company?